Second-placed Somerset, who ran amock against leaders King's Lynn last night (61-29) are already safely through as are the Stars and Poole whilst Belle Vue's progress hinges on their remaining two matches, the first tonight preceeding a trip to Swindon, the dark horses for qualification, tomorrow. 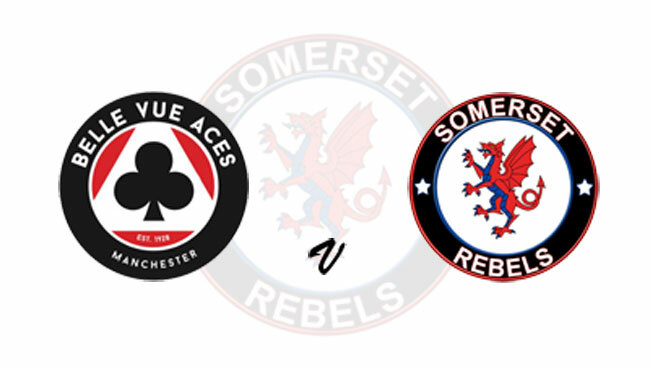 Should the Rebels inflict a defeat on the Aces then the play-off race will go to the wire and team manager Garry May is encouraging his charges to "carry on from where they left off last night." As he welcomes back Nico Covatti to the side after his SGB Championship engagement last evening, May is well aware of his track walk briefing tonight at the National Speedway Stadium. "It is simple really, much the same as it has been all season. I will just remind the lads of how well they have done so far this season, the club has come a long way and we just need to keep things going. Winning is a mentality and it doesn't matter who you are up against, top , bottom, middle order or title deciders it is a matter of not being complacent, focusing on the task in hand and giving your best. If the lads do that tonight then who knows what might happen." Tonight's action is being broadcast live on BT Sport, whilst it will also be a rehearsal for the Knockout Cup semi-final with the Rebels hosting the Aces at the Oaktree Arena next Wednesday (12th September) ahead of the second leg back in Manchester the following week (19th September).